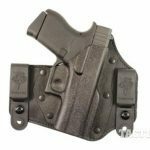 The holster market for the all new Glock 43 is incredibly strong -- take a look at all of your options and get the best fit for a great pistol! 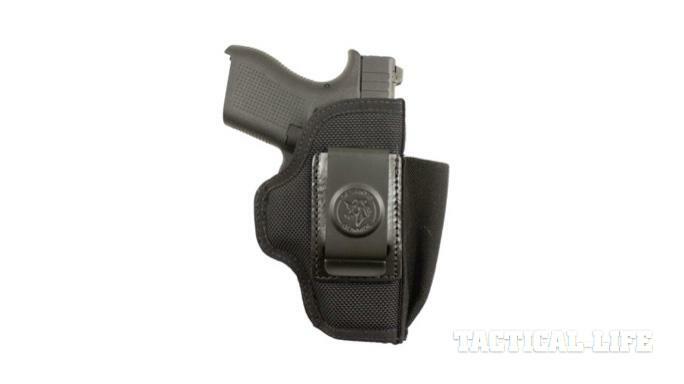 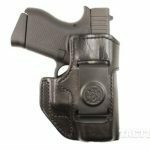 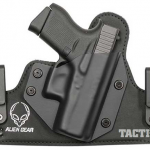 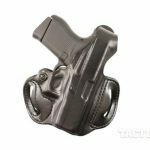 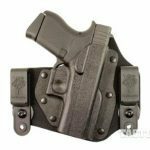 Alien Gear Holsters has a number of offerings for the Glock 43. 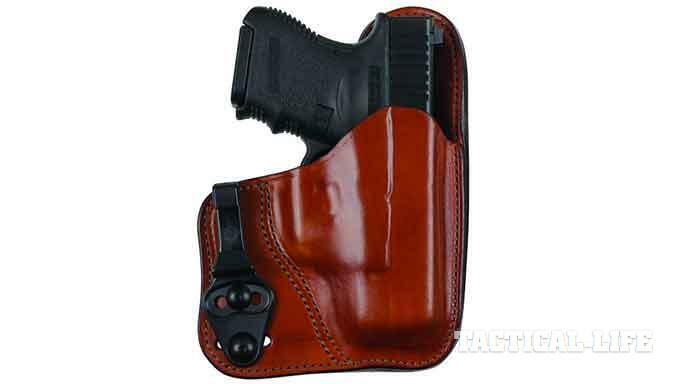 Bianchi’s Model 100 Professional (Glock 43 not pictured). 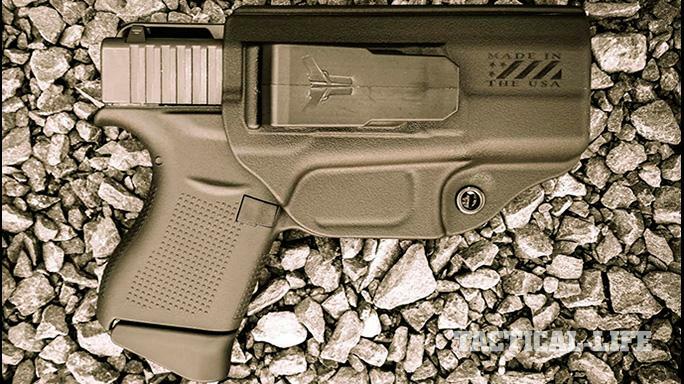 Bianchi’s Model 100T Professional Tuckable (Glock 43 not pictured). 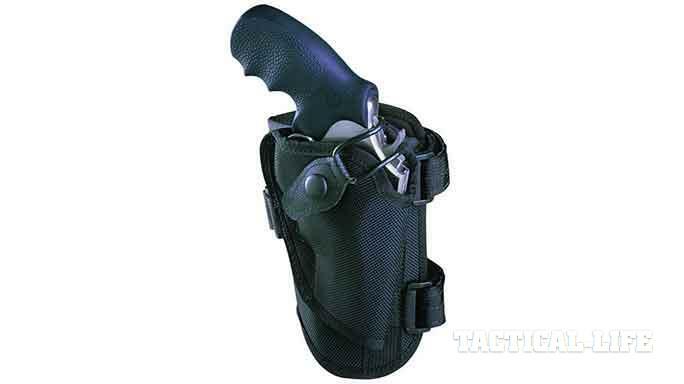 Bianchi’s Model 4750 Triad Ankle Holster (Glock 43 not pictured). 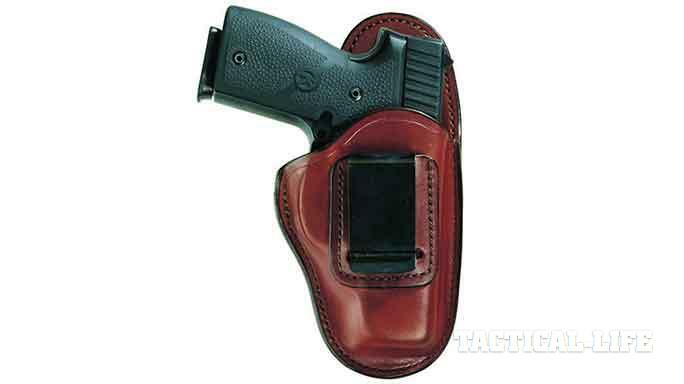 A look at Comfort Holsters’ Bentley Elite model. 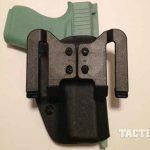 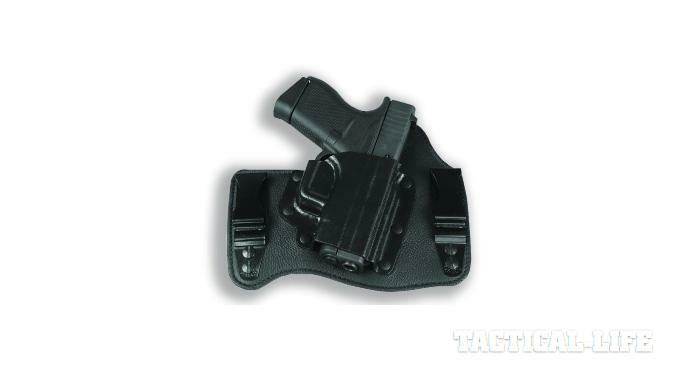 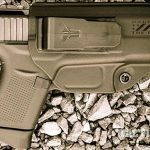 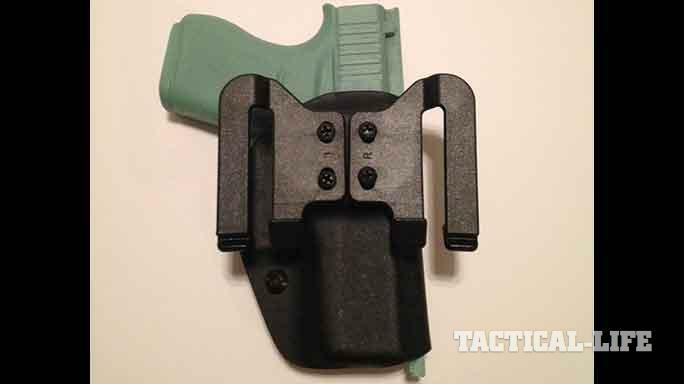 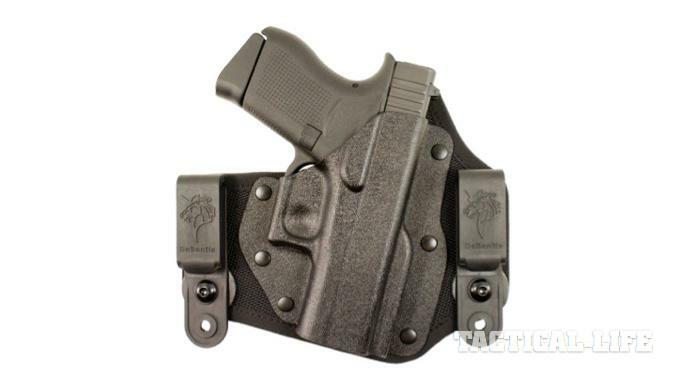 Comp-Tac’s MTAC holster is just one of six fits the company has released for the all new single-stack Glock 43. 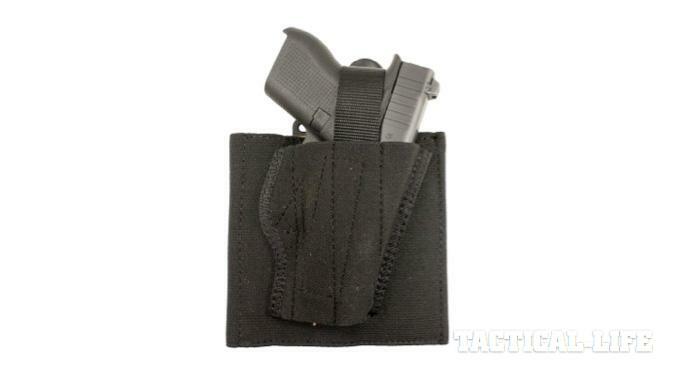 A look at the CrossBreed Super Tuck. 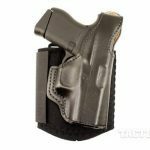 Galco Gunleather has released a wide assortment of holsters for the Glock 43, including its extremely popular KingTuk, Summer Comfort, Pocket Protector and more! 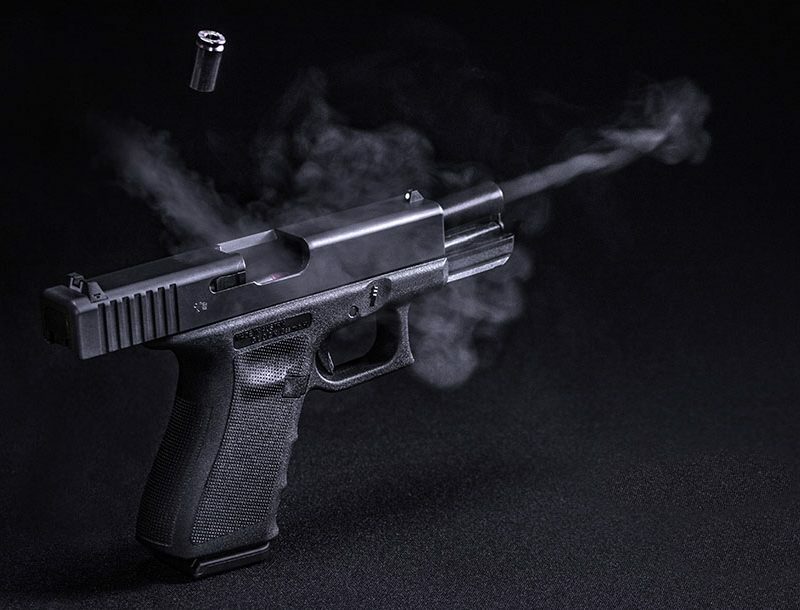 The next big thing from Glock has finally arrived with the announcement of the Glock 43. 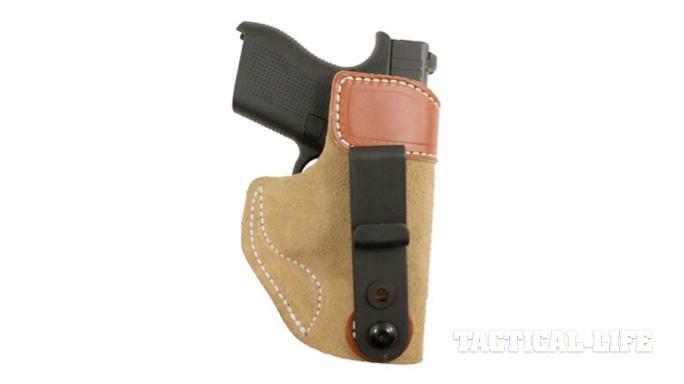 The single-stack 9mm has generated a ton of buzz, and rightfully so. 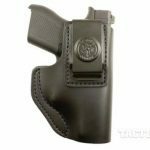 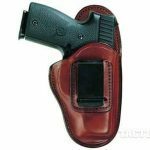 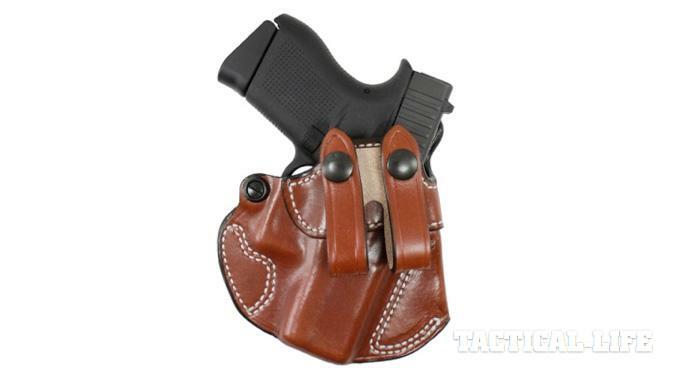 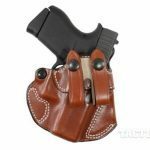 A pistol that is easy to conceal needs the appropriate holster and, of course, there are several big name options for you to choose from. Alien Gear has released multiple offerings for the single-stack Glock 43. 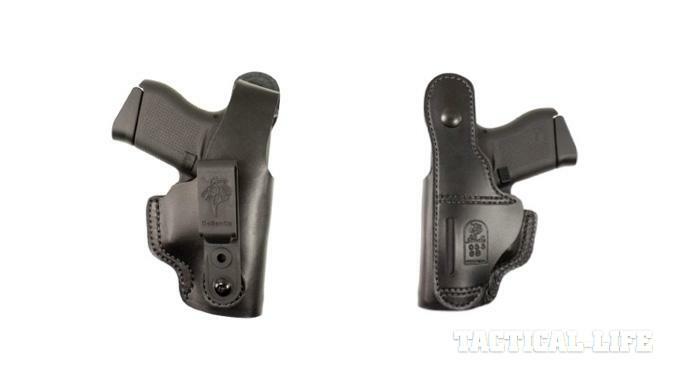 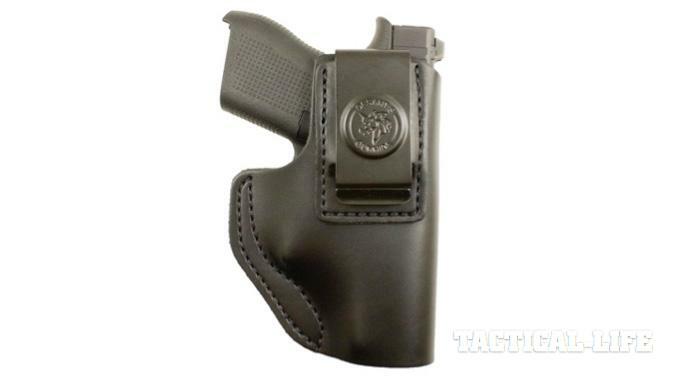 Shooters can choose between an IWB leather or a lightweight neoprene composite material. 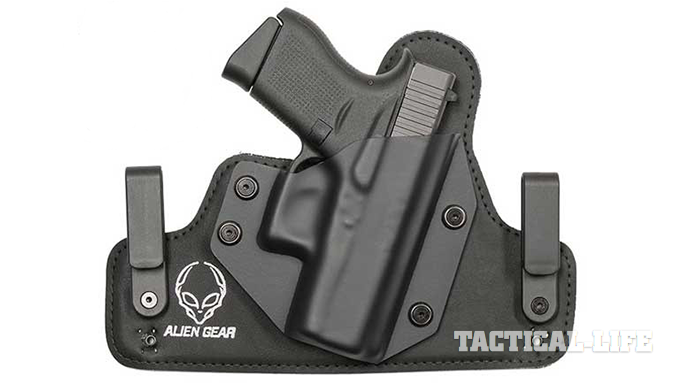 Alien Gear also officers an outside the waistband holster option in black or tan leather material. 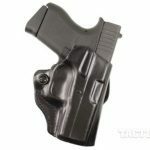 For more information, please visit AlienGearHolsters.com. 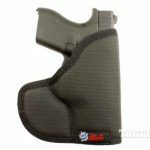 Bianchi has announced the addition of three concealment holster fits for the new Glock 43 handgun. 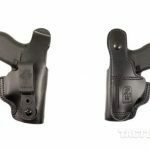 The 100 Professional, the 100T Professional Tuckable, both of which are inside the waistband (IWB) carry holsters, and the time-proven 4750 Triad ankle holster are now available to order. 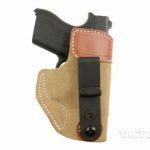 For more information, please visit Safariland.com/our-brands/bianchi. Blade-Tech’s Klipt Appendix IWB for the Glock 43 is a versatile, ultra-compact and highly concealable holster that was originally designed and field tested in conjunction with a Top Tier USSOCOM Military unit for use in covert operations abroad. 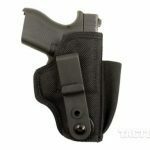 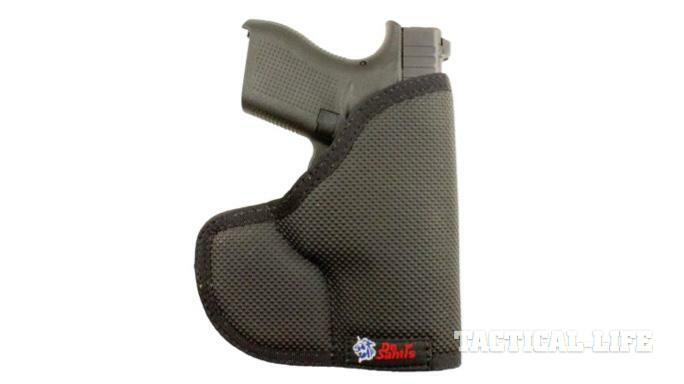 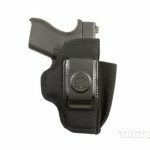 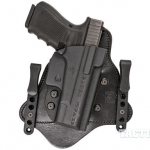 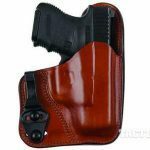 It can be worn both inside the waistband in appendix carry mode as well as strong side carry mode. 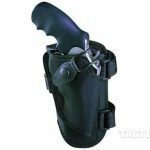 For more information, please visit Shop.Blade-Tech.com. 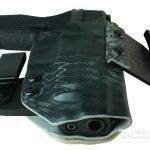 For more information, please visit ComfortHolsters.com. 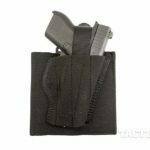 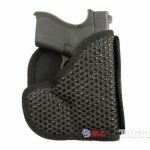 Comp-Tac has released 6 holsters fits, holster spare bodies and magazine pouches for the Glock 43. 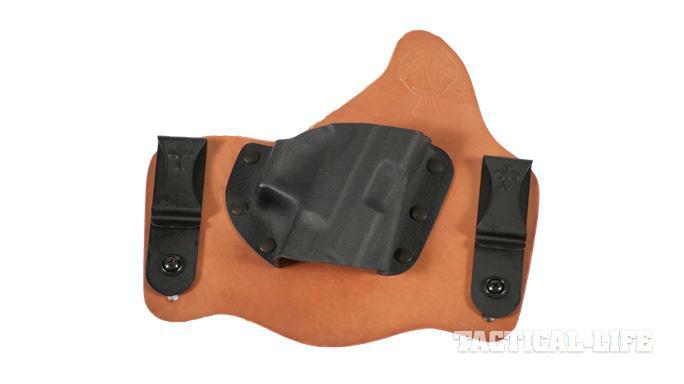 On the list of holsters from Comp-Tac are the MTAC, Infidel, Neutral Cant, Spartan, Infidel Ultra and Flatline. 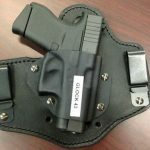 For more information, please visit Comp-Tac.com. CrossBreed Holsters has confirmed a fit for the Glock 43 in a wide variety of their IWB and OWB holsters including the SuperTuck and MiniTuck as well as ankle holsters, pocket holsters and their entire modular system. 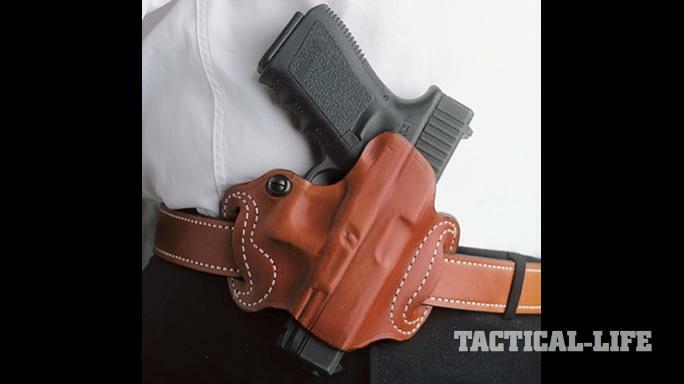 For more information, please visit CrossBreedHolsters.com. 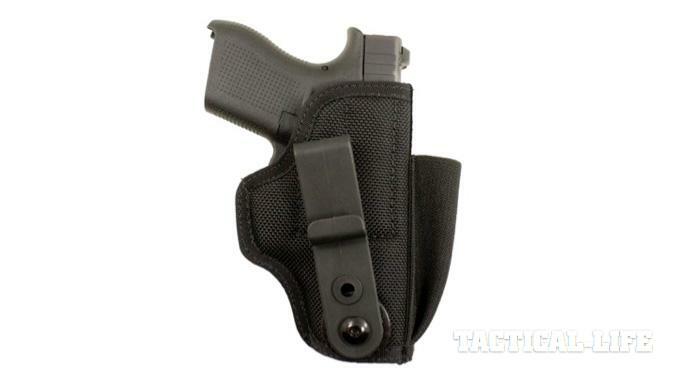 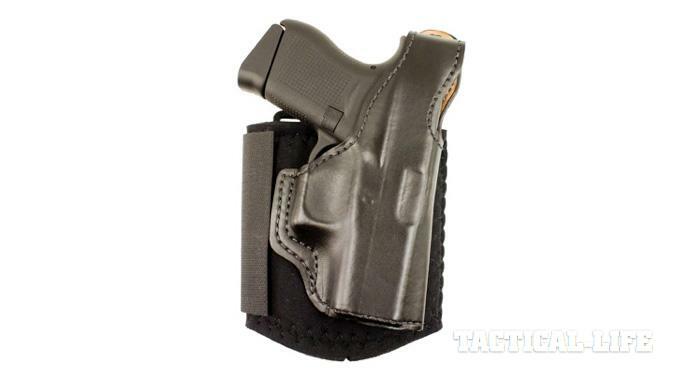 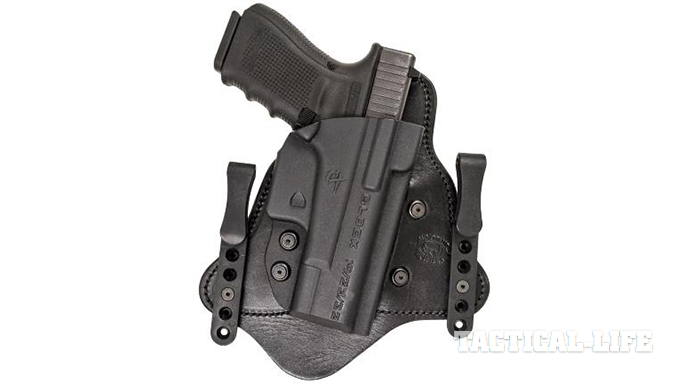 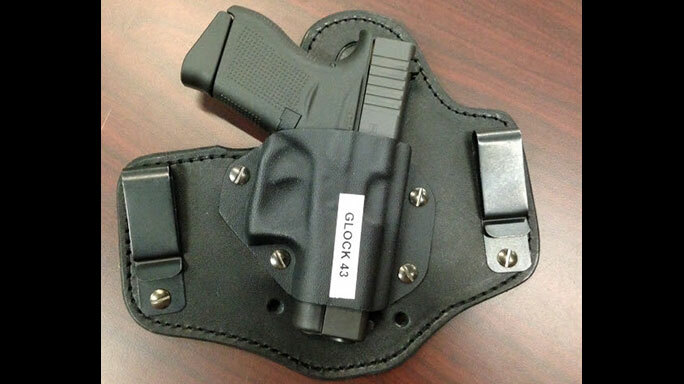 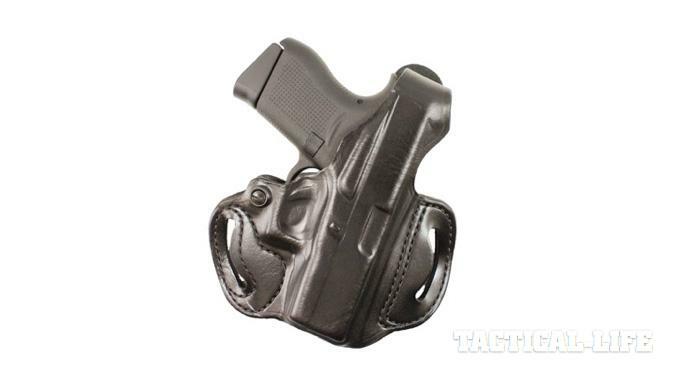 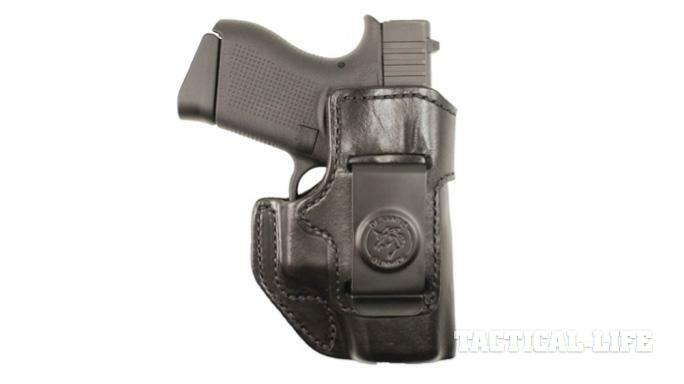 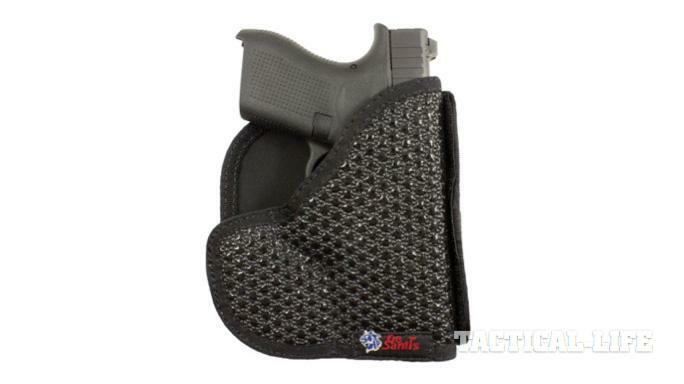 DeSantis recently unveiled a total of 16 different holster fits for the Glock 43 — that’s right, 16. 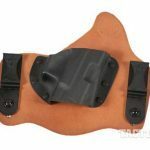 For more information, please visit GalcoGunleather.com. 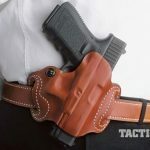 Kinetic Concealment has brought its patent pending neoprene-backed leather hybrid holsters to one of the most popular guns on the market: The Glock 43. 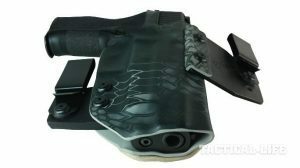 For more information, please visit KineticConcealment.com. 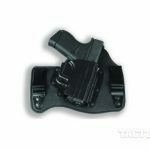 For more information, please visit YetiTac.com.